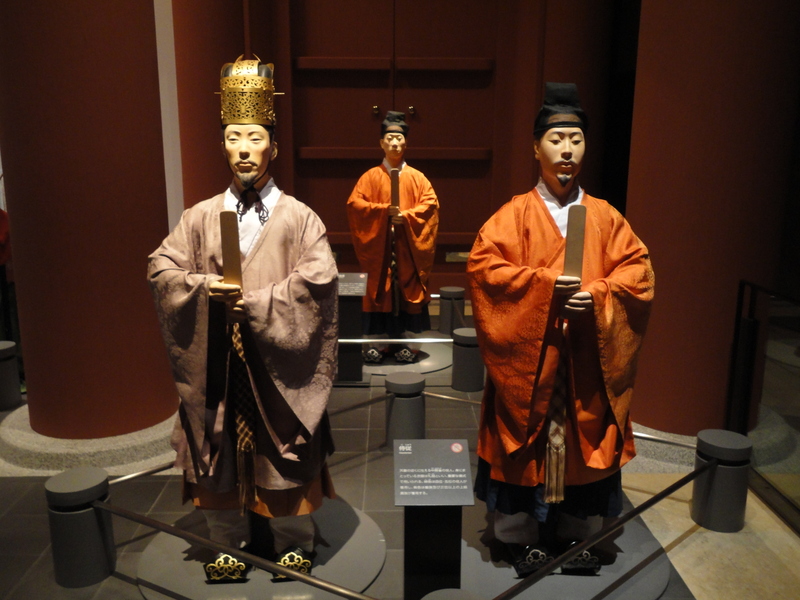 When it comes to museums, Taiwan doesn’t seem to have any famous ones other than the National Palace Museum, which showcases imperial Chinese treasures brought across from China by Chiang Kai-shek in the mid-1940s. 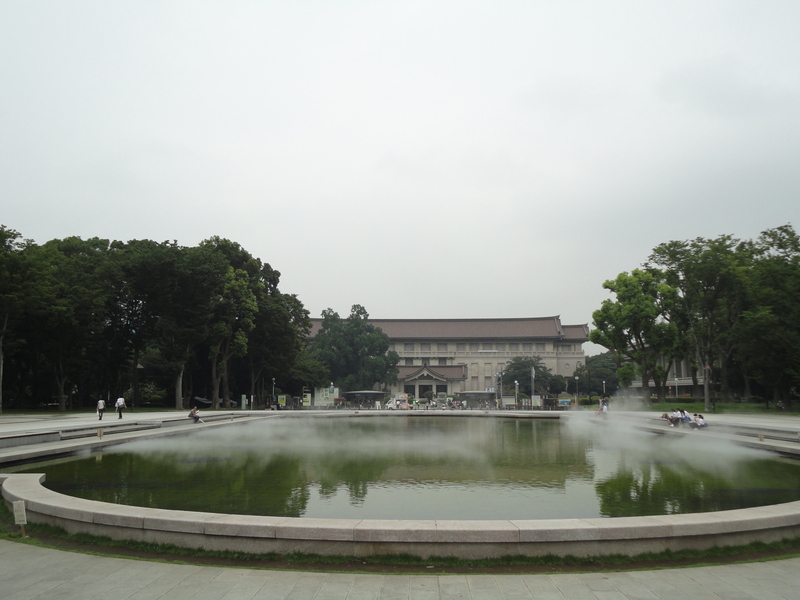 But in reality, Taiwan has several great museums that are impressive, beautiful, and feature fascinating exhibits. One of these is the Lanyang Museum, in Taiwan’s Yilan County, which I visited recently. At first glance, from the side, Lanyang Museum resembles a large, sleek rock soaring out of the ground. Indeed, the museum was designed in the shape of a cuesta, a tilting stone escarpment that is common to Taiwan’s northeast coast. 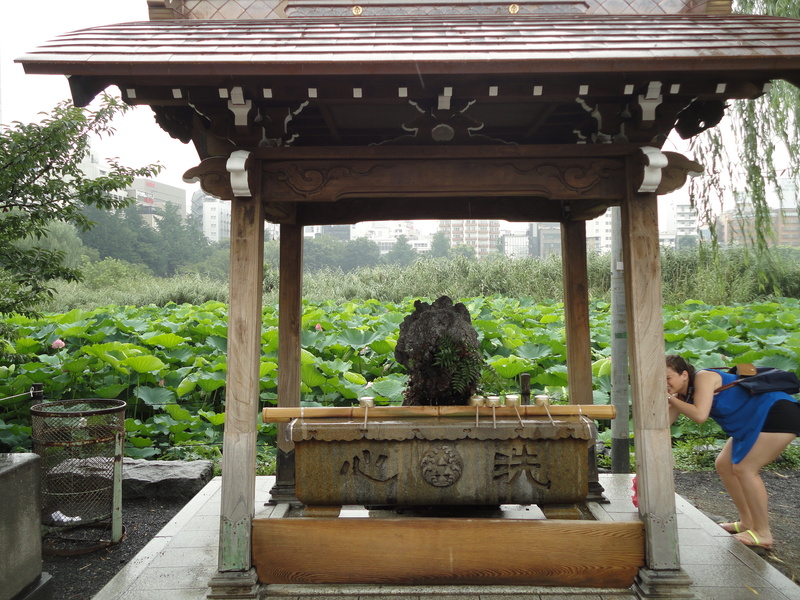 The museum is surrounded by a small lake with ducks and other birds. 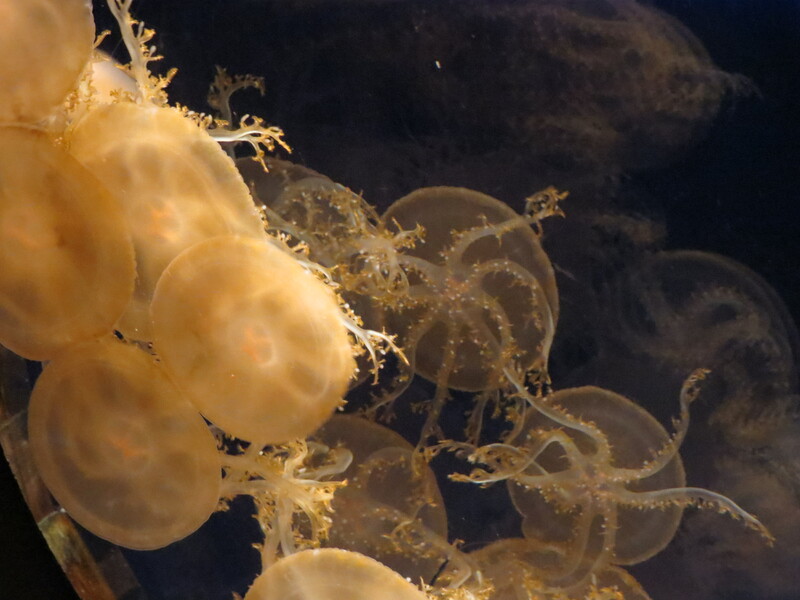 Located on Taiwan’s northeast coast, Yilan County has an interesting geographical profile because it includes flat land sandwiched between mountains and the ocean. 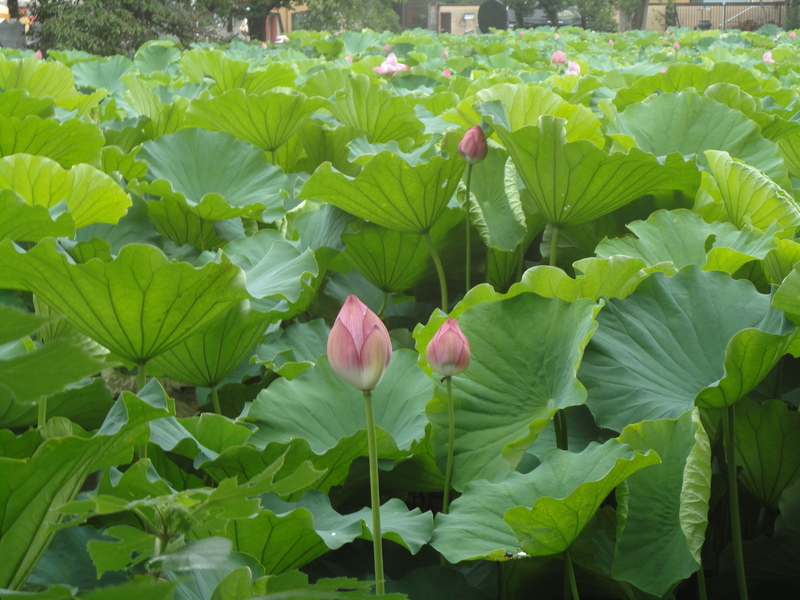 Yilan thus features abundant forestry, rice, and marine fisheries resources. The Lanyang Museum bears homage to this with separate levels devoted to Yilan’s mountains, ocean, and plains. 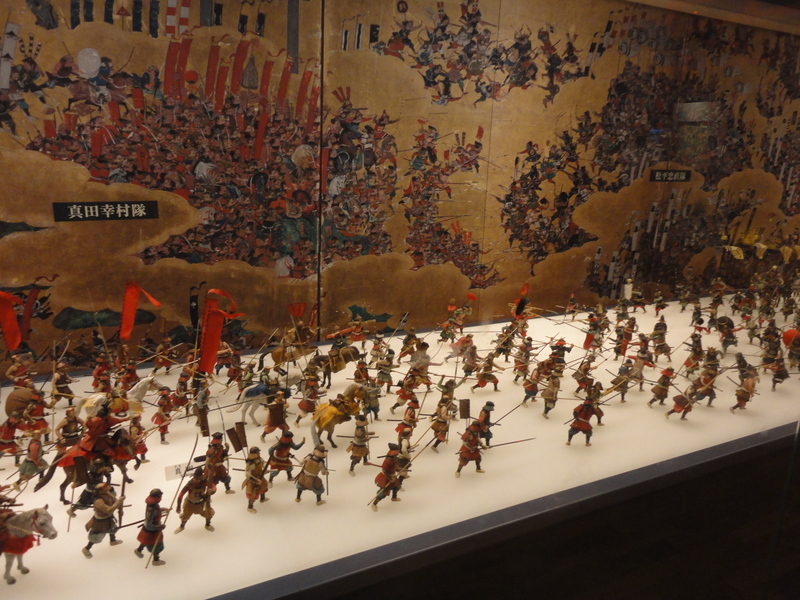 The museum features an attractive collection of dioramas, artifacts, and historical photos. Among the most interesting cultural exhibits is a model of a wooden platform which people compete to climb up in the Zhongyuan Qianggu festival, a late 18th century festival. There are many life-size displays of farmer and workmen mannequins engaged in irrigating or other kinds of work. It was interesting to see a yamu boat, used by farmers to harvest rice in their paddy fields. 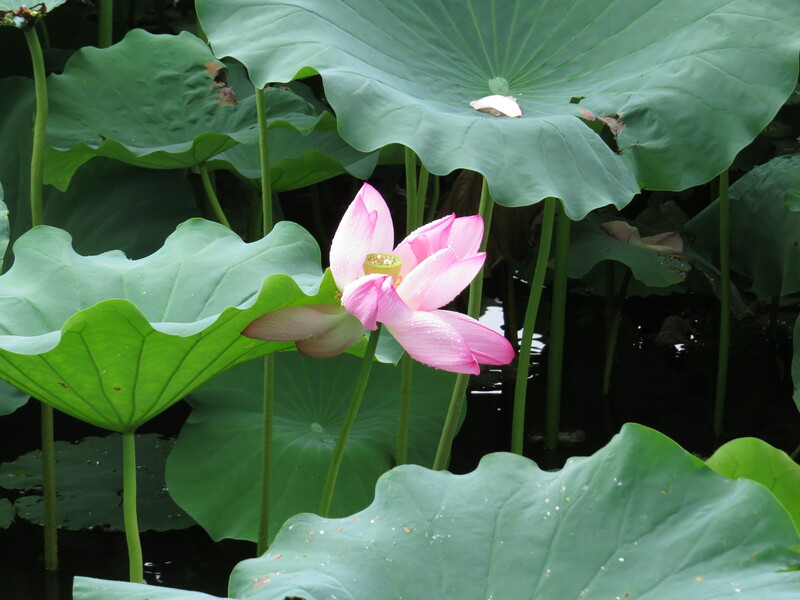 Yilan also has a significant aboriginal presence, especially the Kavalan tribe (who the famous Taiwanese whisky brand is named after) who have lived in Yilan for 1,000 years and traditionally lived near rivers and streams. Han settlers came later in the 18th century and gradually pushed the aboriginals out of their lands. There are an actual fishing boat, which you can climb into, and a traditional boat, as well as the skeleton of a Bryden’s whale which washed up dead ashore. 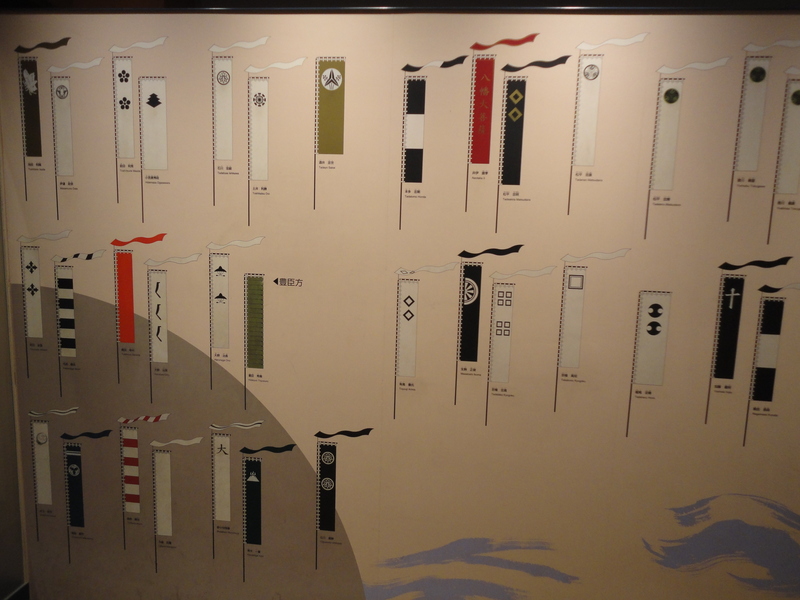 The museum has an open, colorful and spacious layout that provides a nice ambiance to enjoy the exhibits. 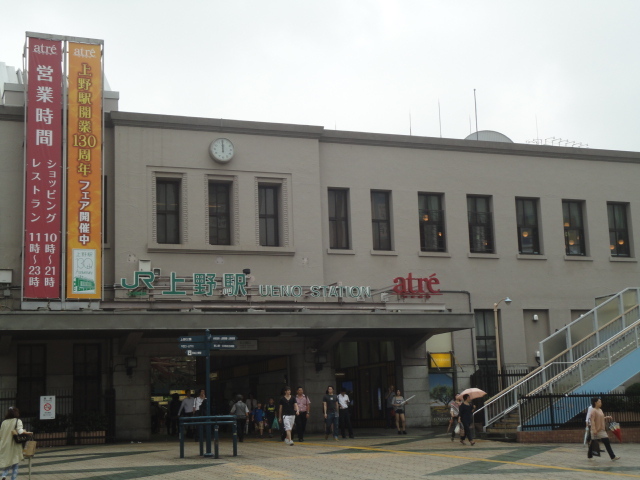 How to get there: From Taipei, you can take the train to Yilan’s Wai’ao Station and walk to the museum, or take the long-distance Kuo-kuang 1877 bus at the Nangang Exhibition Center bus stop, which stops right at the museum. 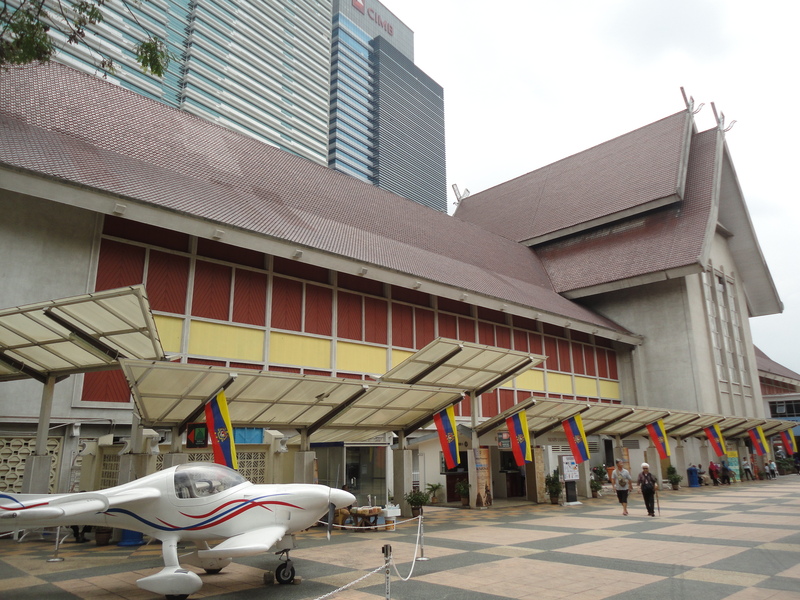 Kuala Lumpur is Malaysia’s political, business and commerce center as well as the nation’s air transportation hub. While I don’t rate it as highly as Bangkok, Singapore or Hanoi, it is still a decent major city. 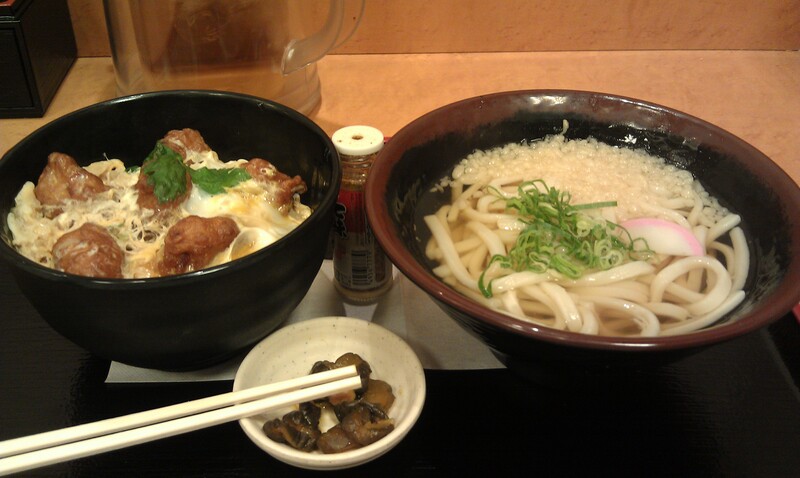 I actually visited it twice though both times I didn’t spend too long. 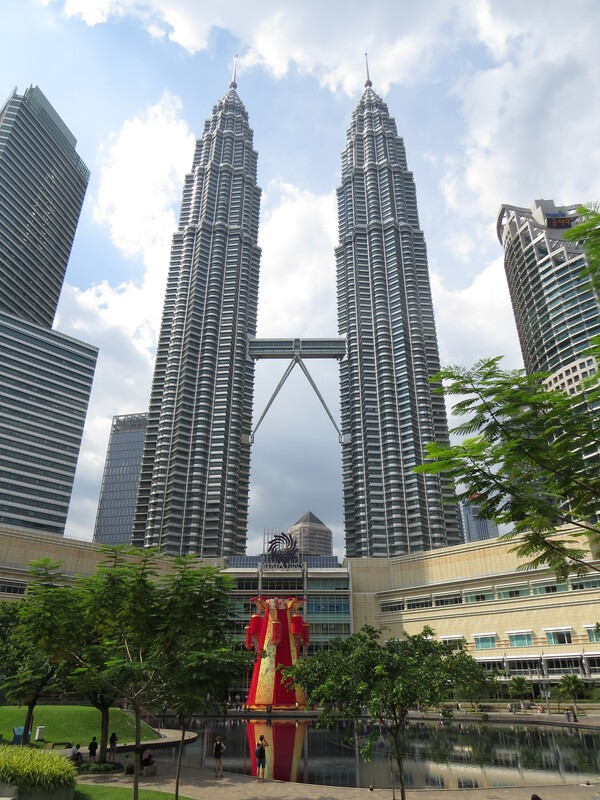 The city’s most iconic symbol is the Petronas Towers, which I visited during the day and in the evening. 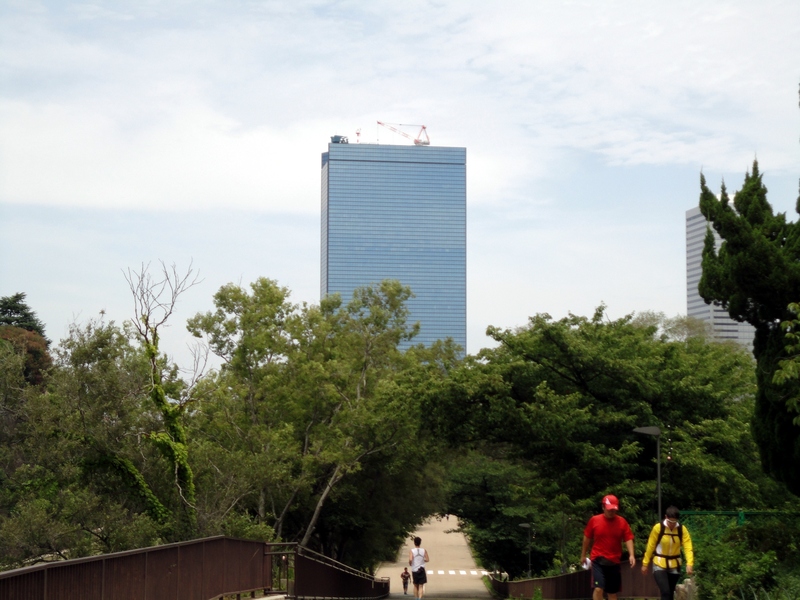 Besides admiring it from outside, make sure to go inside to check out the mall at the base or go up to the observation level. 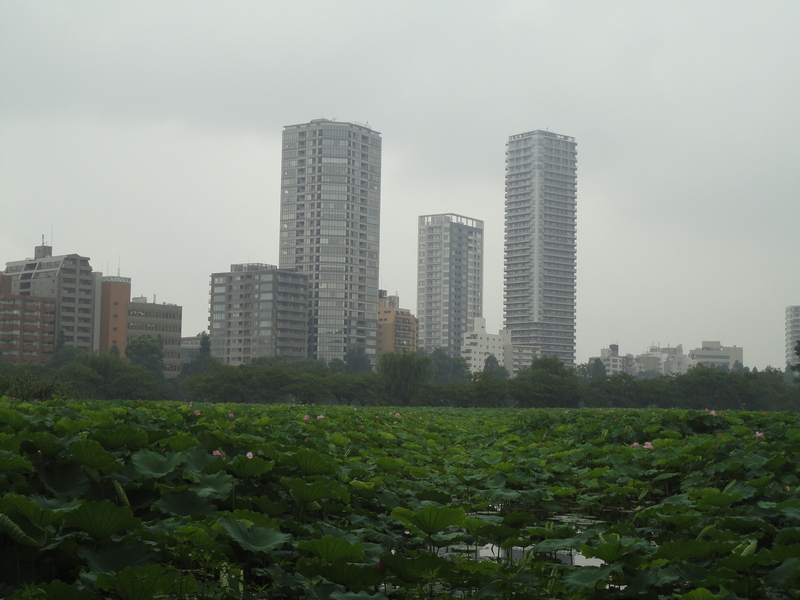 At the back is a park which is also quite pleasant. 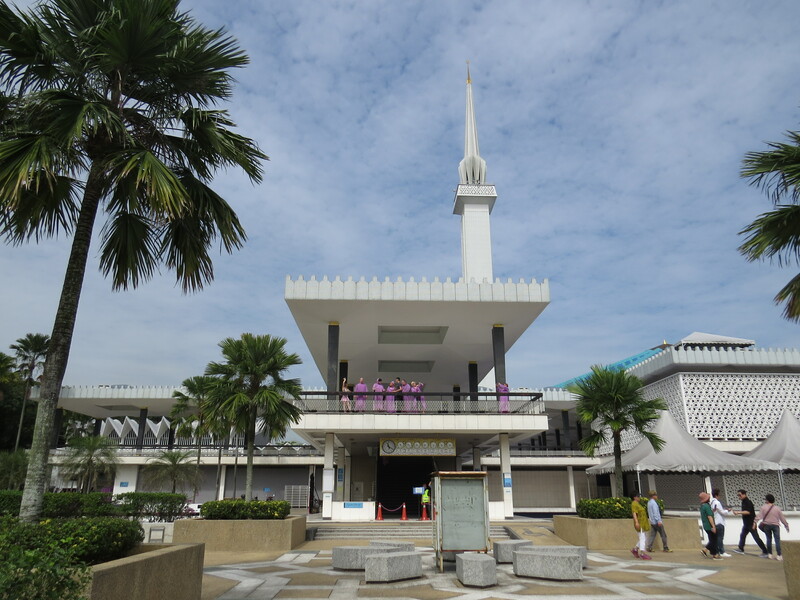 The center of Kuala Lumpur has a giant park, Lake Gardens, which has a lake, a botanical garden, a deer park, a butterfly park, and a bird park, which I visited. It is a large aviary divided into several zones, but not all birds are flying around freely as some are caged. There are some peacocks that walk around on the paths and it is always beautiful to see one spread his tail feathers. Along the boundaries of the park are the National Mosque, where friendly volunteers approach you to talk about Islam, and several museums including the Islamic Arts Museum, which I found very fascinating, and the National Museum, which was underwhelming and did not have a very large collection. 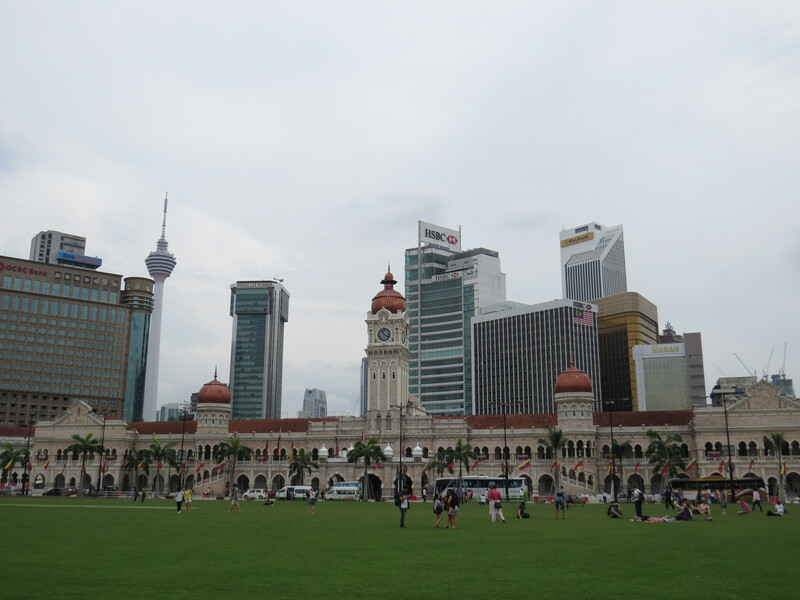 Merdeka Square was where the Malaysian flag was hoisted for the first time at midnight on August 31, 1957. 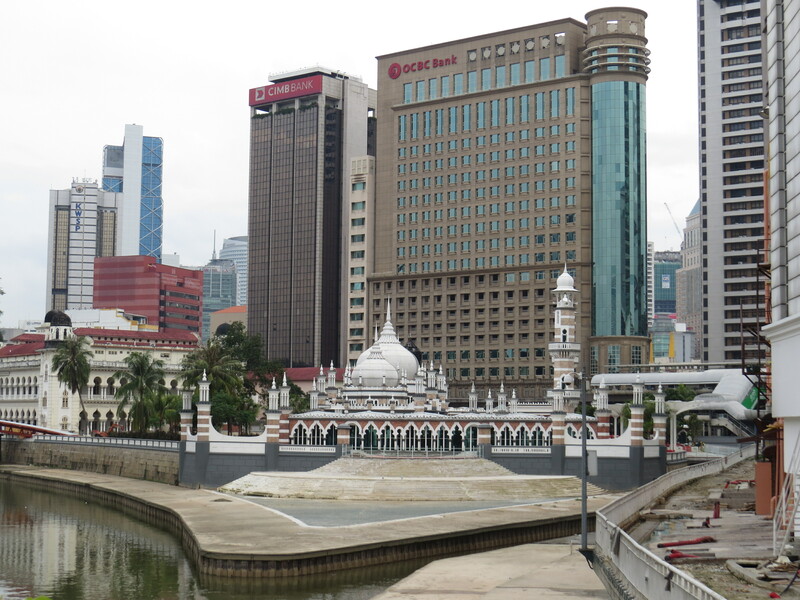 It’s a pleasant open space surrounded by several colonial buildings including the Sultan Abdul Samad Building (top photo), former British colonial office and now a Malaysian ministerial building, and Royal Selangor Club. Visited the Petronas Towers at night and during the day. 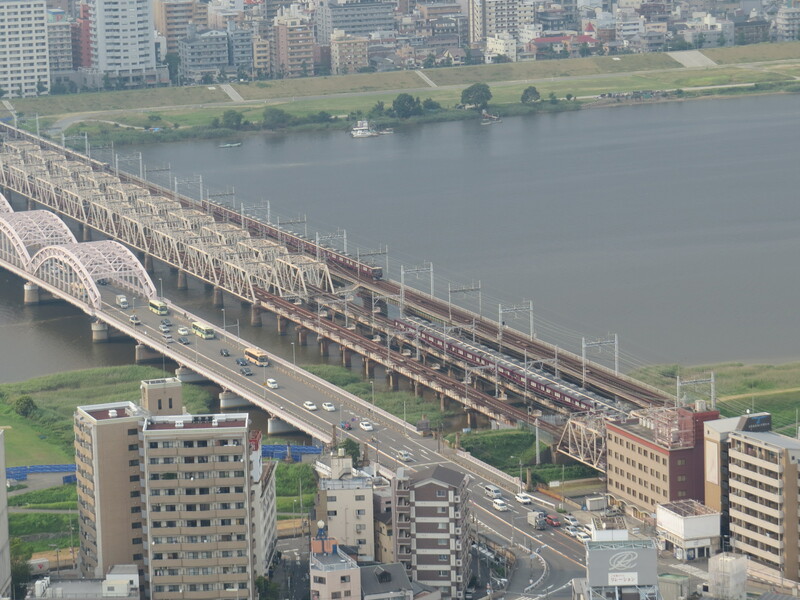 Both times, the towers were impressive. 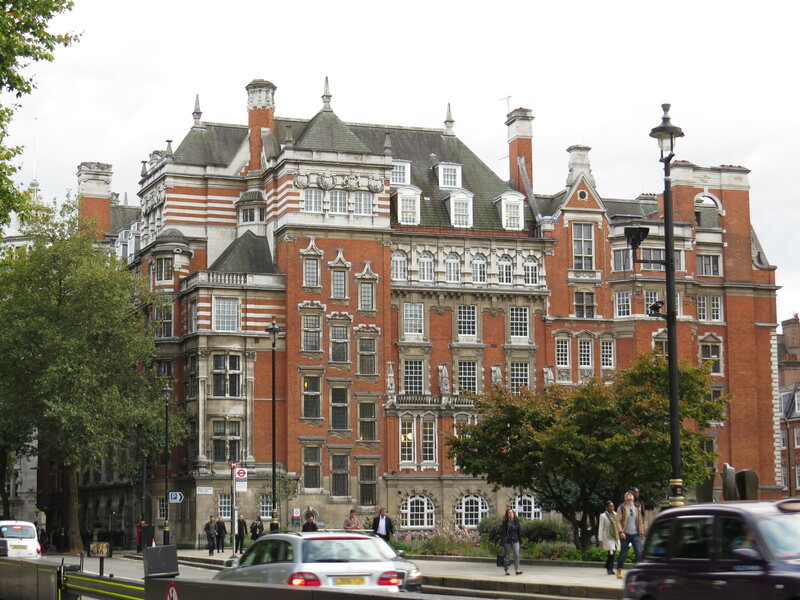 Two grand British institutions are the British Museum and Parliament at Westminster. 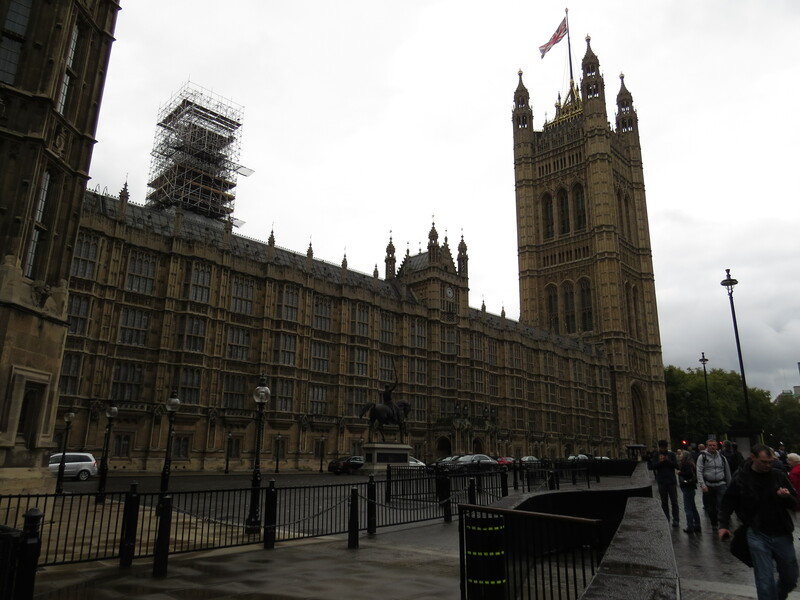 The former has been home to artifacts and works of arts since the mid-18th century, the latter has been the site of parliamentary governance since the 13th century. 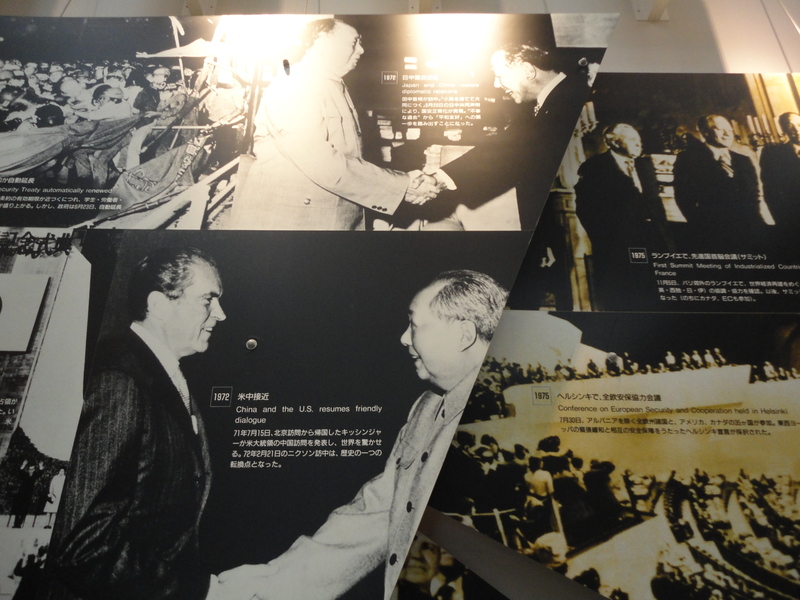 Whenever I visit major cities, whether it be Cape Town or Hanoi or Xian or Tokyo, history museums are always near the top of my list of places to visit. 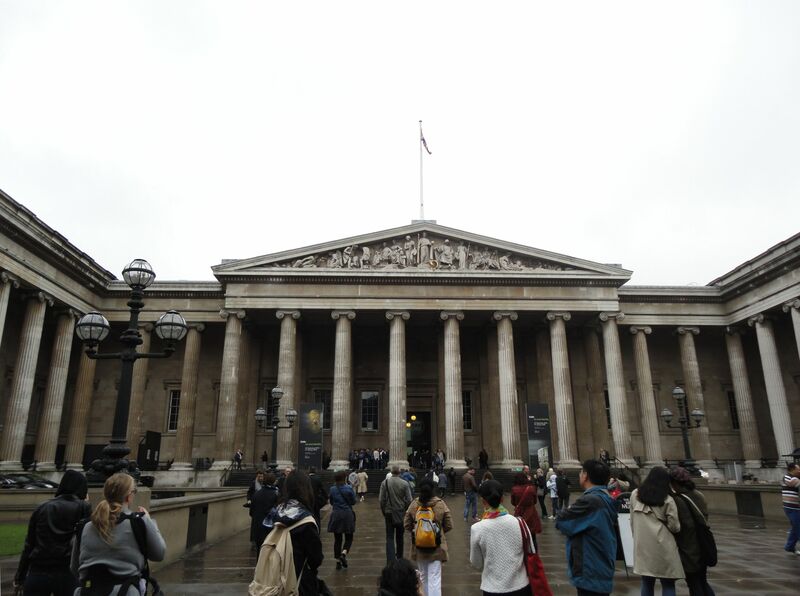 Obviously in London, the British Museum was a must-visit and it didn’t disappoint. The only thing I regret was not being able to spend more time. 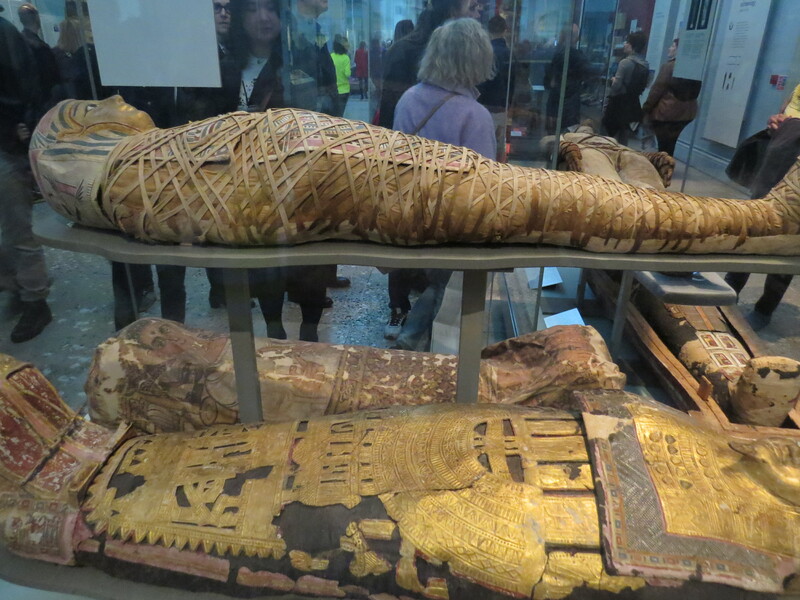 There are splendid displays of ancient Egyptian, Middle Eastern, and Greek artifacts, as well as sub-Saharan African collection. 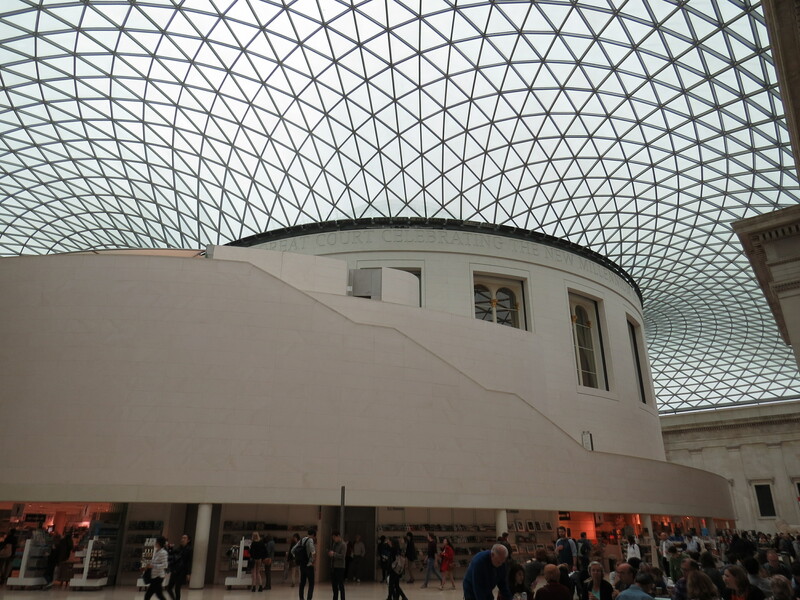 The huge, central atrium or Great Court features a circular reading room (closed to the public) in the middle, several statues including a giant lion from the 2nd century BC, and a nice, overhead ceiling with an interlacing or tessellated design. The exterior of the museum is a grand but somewhat dowdy gray facade with multiple columns. 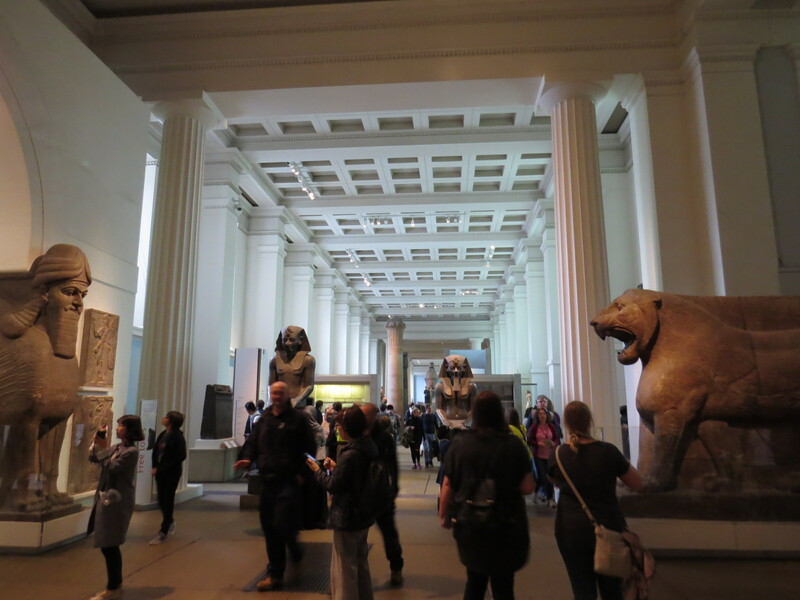 Besides the sheer quantity of the collections, it was impressive to be able to view giant pieces such as ancient Egyptian pharaonic statues and tombs and Assyrian lion statues up close. 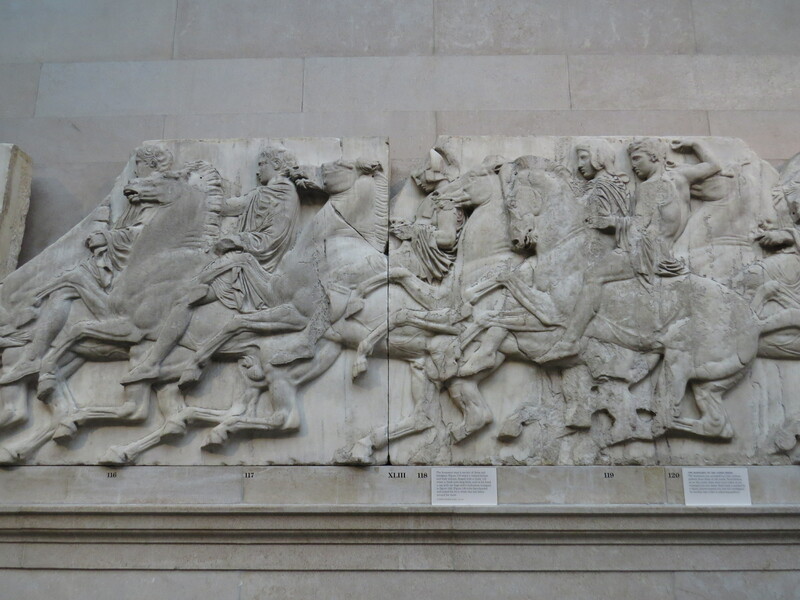 The Elgin Marbles, which were taken from the Parthenon in Athens, were in an entire hall. 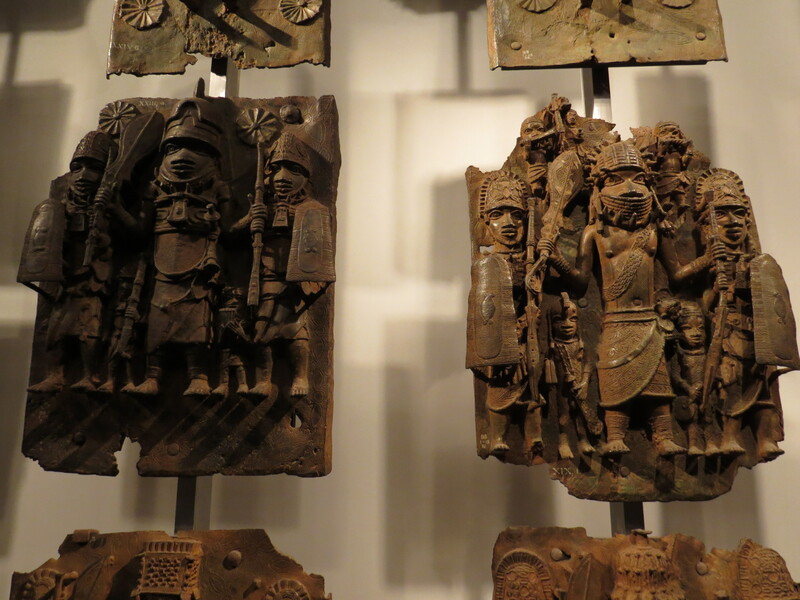 In the African section, there were entire walls of weapons, colorful cloths and the fascinating Benin Bronzes. 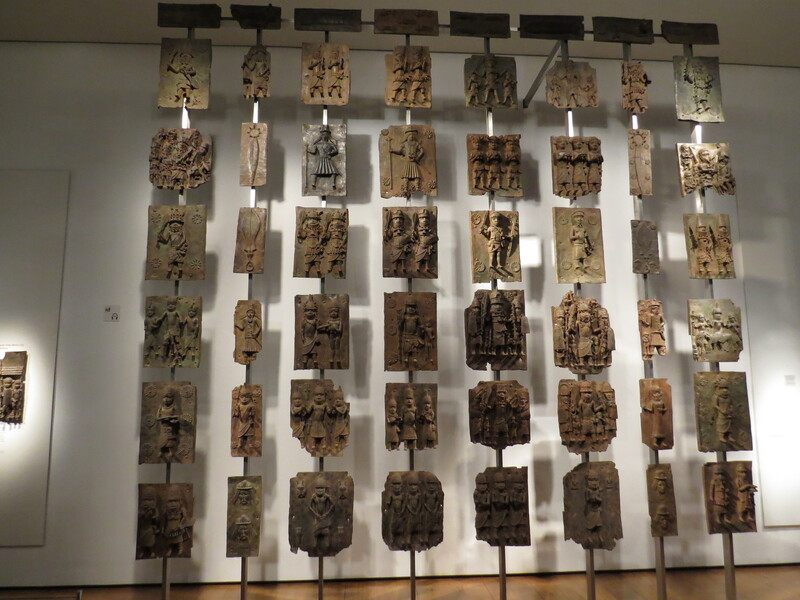 These were produced by the kingdom of Benin which was situated in Nigeria (the country of Benin is named after this kingdom but was not where it was located). 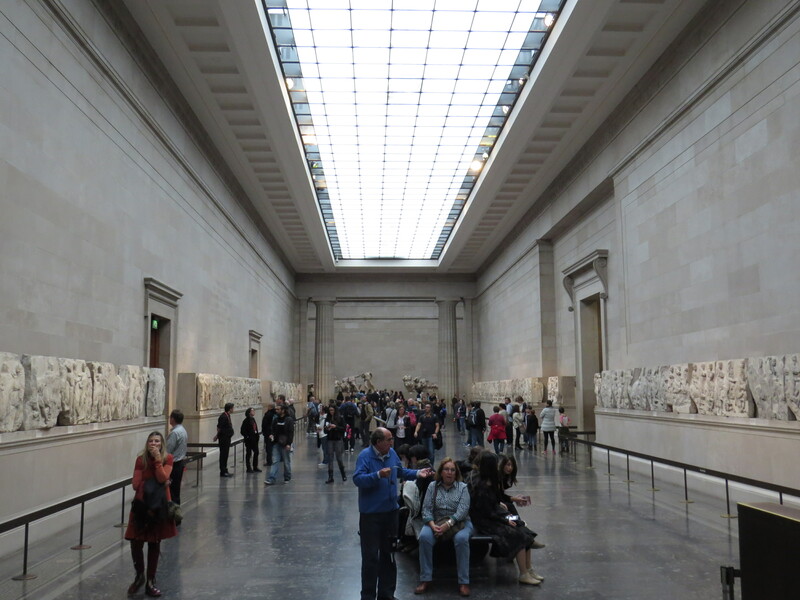 I managed to see some of the most famous pieces like the Rosetta Stone, Elgin Marbles, as well as Benin bronzes, from Nigeria. 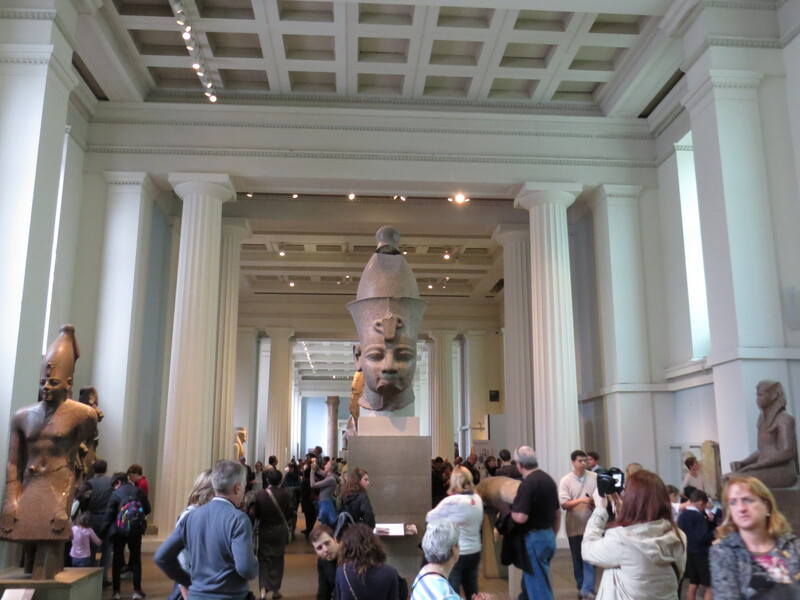 Incidentally all of these are claimed by their country of origin, which raises the point that many of the items in the museum, such as many Greek and Egyptian artifacts, were taken or bought from other countries, sometimes through surreptitious means. The Louvre in Paris is similar, with many of its famous exhibits hailing from other places. 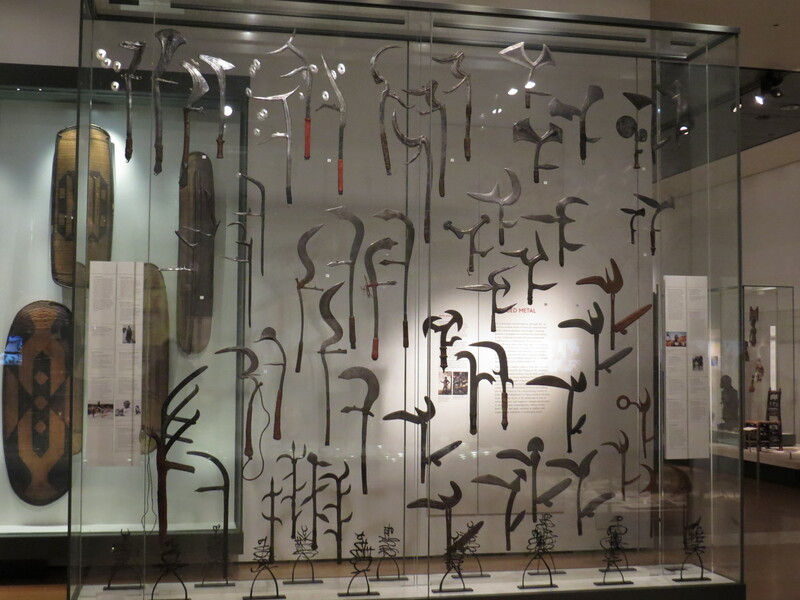 Meanwhile, the British exhibits were alright, but not particularly memorable other than some Roman-era artifacts. 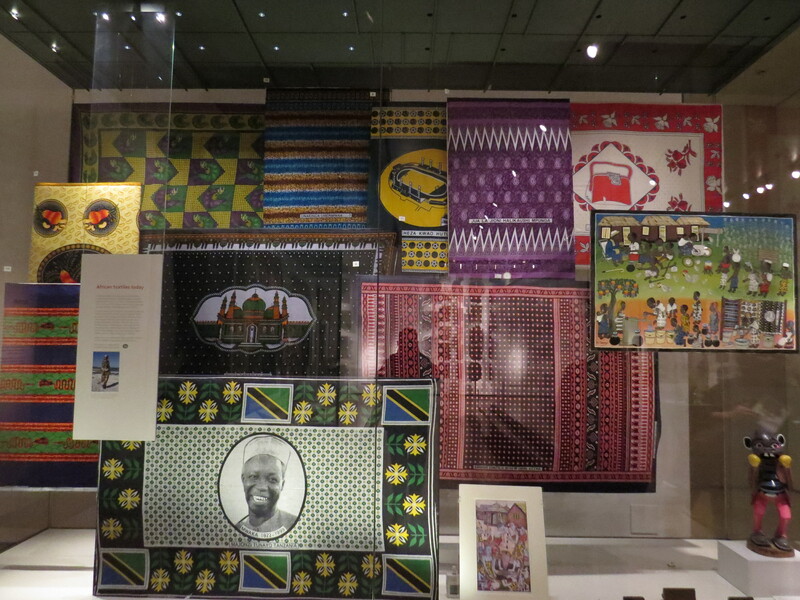 I had hoped there might have been exhibits from the British Empire from the Commonwealth countries such as India and Pakistan, but then that is probably unrealistic because it would be like glorifying the empire. Ideally many of the items should be returned to their countries if they had been illegally bought or taken. 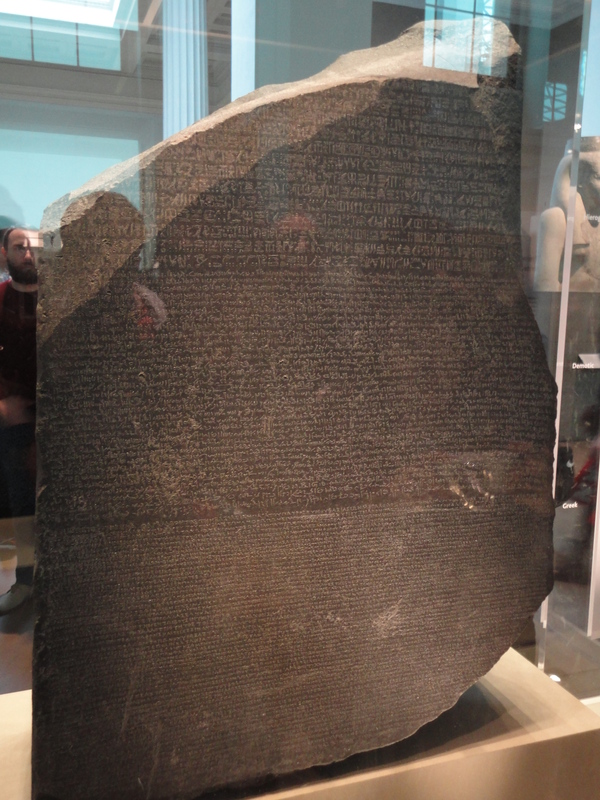 On the other hand, there is no certainty that they would be displayed and maintained in such secure and pristine environments in their home countries as those at the British Museum. Also, the best archaeological techniques and knowledge of the day, when these artifacts were obtained, belonged Western explorers and archaeologists, though of course, they honed this from roaming around the world and obtaining other cultures’ artifacts. 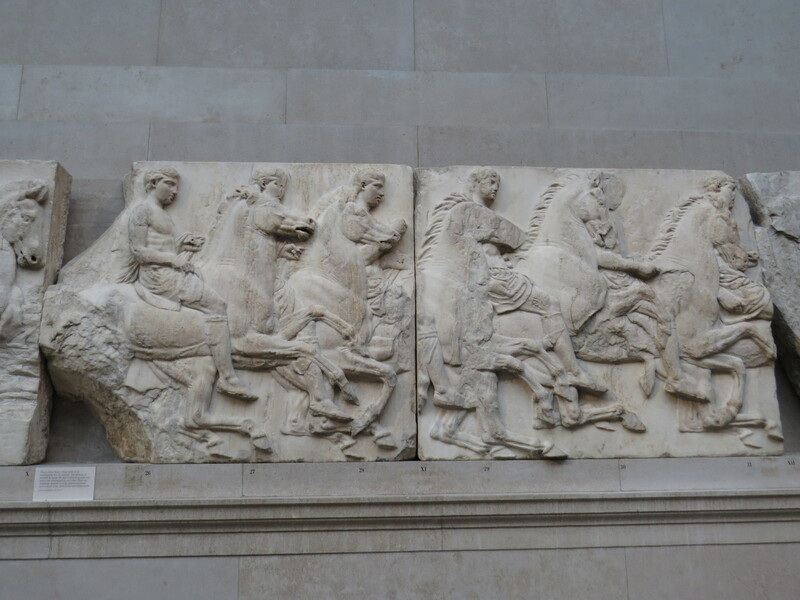 While a bit self-serving, the availability of these pieces all in one place in the British Museum allows visitors to enjoy and appreciate the history and past civilizations of almost the whole world. 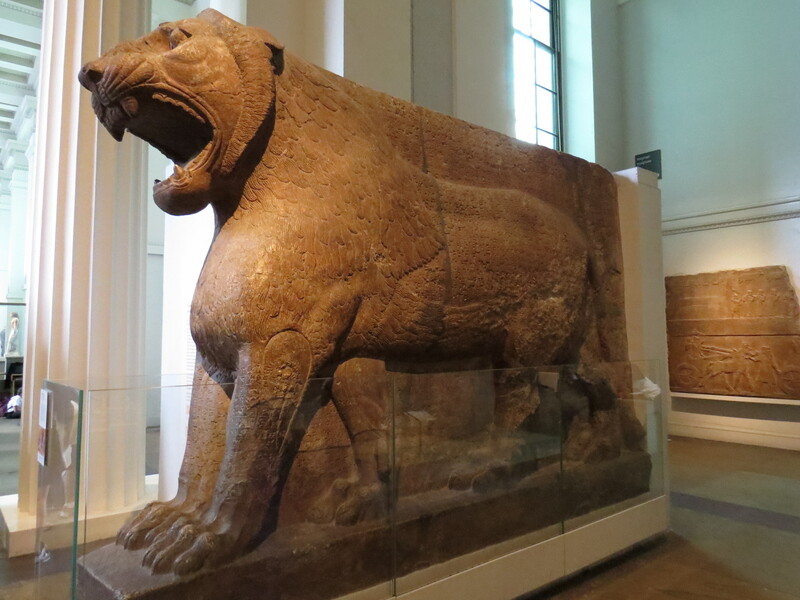 Short of returning all their exhibits, which would be unrealistic, institutions like the British Museum and their governments should provide more funding to countries from where they got the exhibits from, to help them with their local museums, historical research and archaeological efforts and so on. 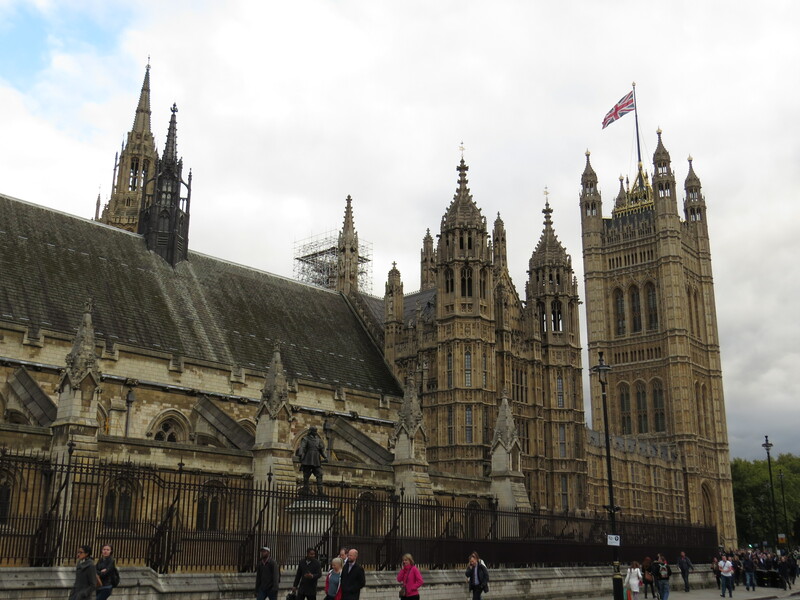 Lying on the north bank of the Thames River, the British Parliamentary building or Palace Of Westminster houses both the House of Lords and the House of Commons. 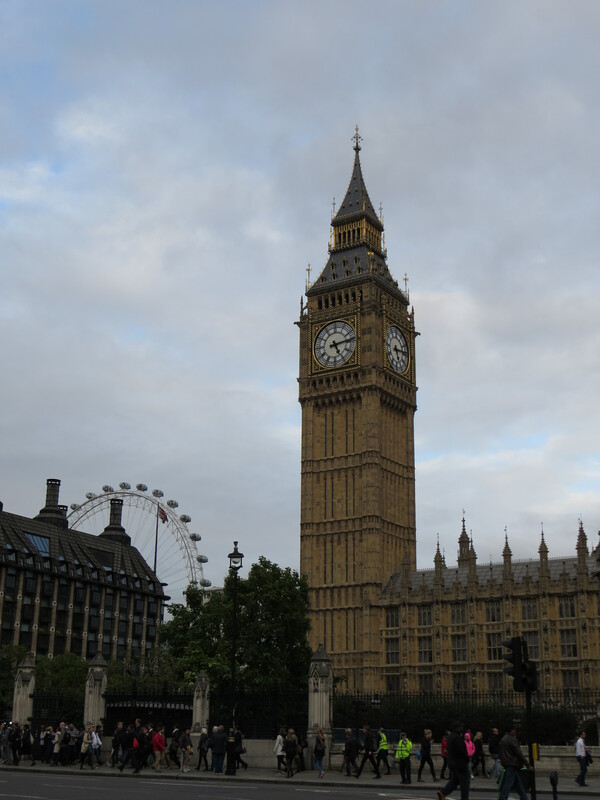 It is easily recognized, with its gray Gothic features, multitude of windows and spires and the Big Ben clock atop Elizabeth Tower on its flank, though its tallest point is Victoria Tower at its southwestern corner. 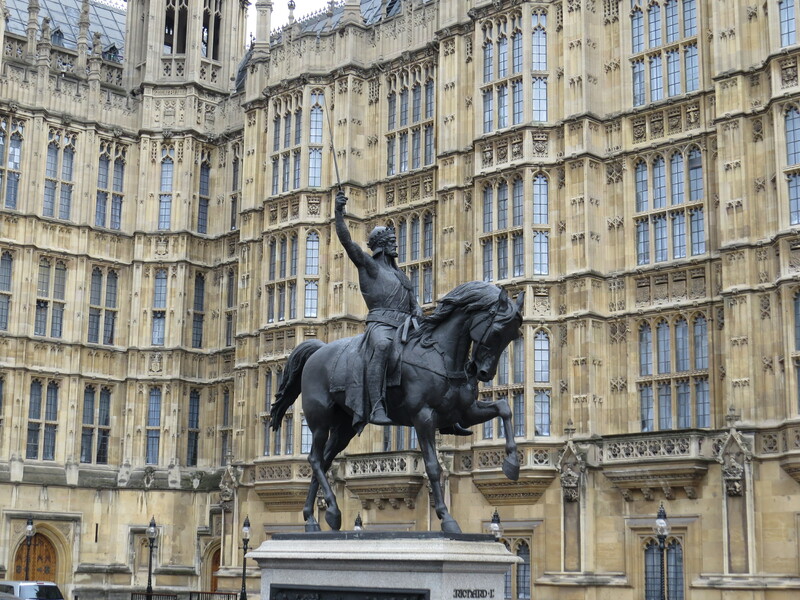 Alongside the building is an impressive black statue of Richard I, the Lionheart, atop a horse with sword in the air. There is also a statue of Oliver Cromwell, who helped defeat royalist forces in the 17th century and then ruled England as Lord Protector. 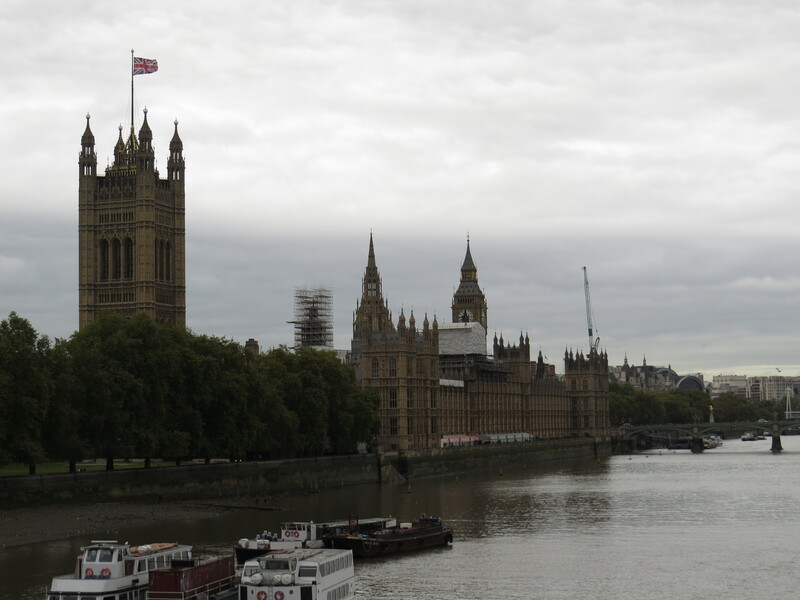 There were armed policemen on the grounds, befitting the site of the nation’s parliament, though unfortunately this didn’t prevent a terrorist from running over dozens and killing several people, including a policeman, there earlier this year. 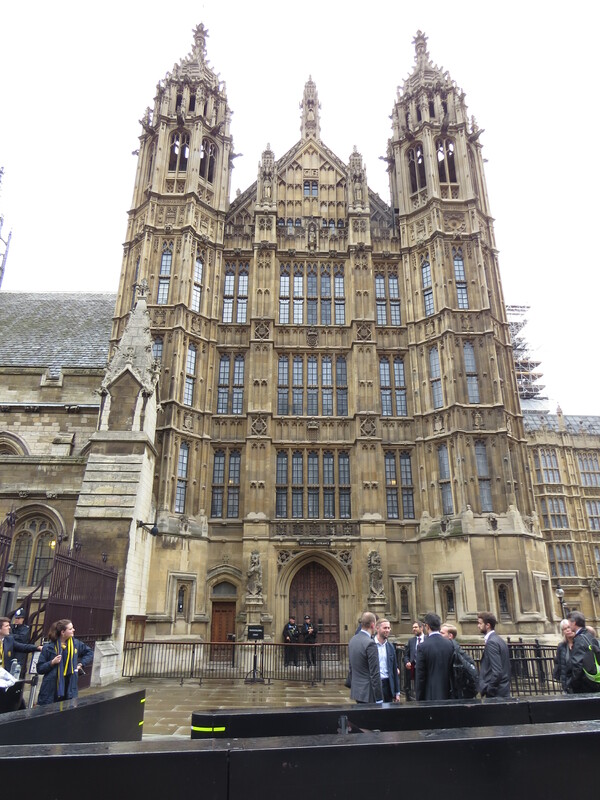 But Westminster Palace isn’t the only attraction in the area. 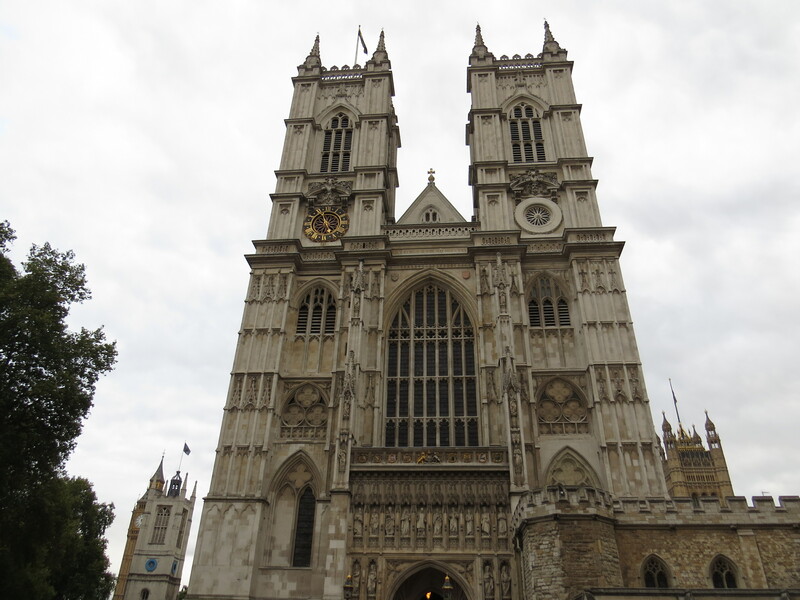 Around it are several impressive old buildings such as Westminster Abbey, where the coronations of British monarchs have been held since 1066, St Margaret’s church, the Sanctuary, and Methodist Central Hall. 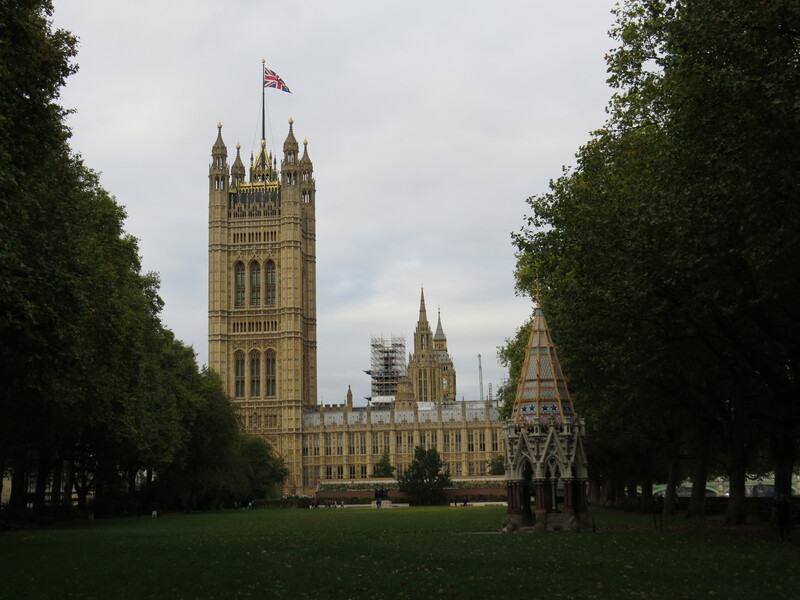 Meanwhile, to get a good view of the Westminster Palace from the river, we walked down along the riverbank to a park and then onto Lambeth Bridge. 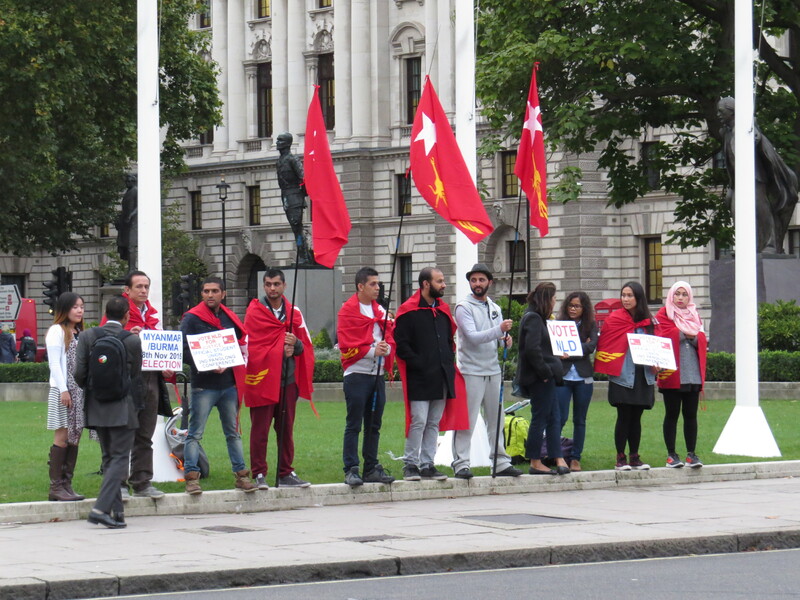 For some reason, there was even a small rally opposite the parliament building on Myanmar’s upcoming election urging people to vote NLD, the party of Aung San Suu Kyi and which ended up winning over 80% of contested seats in that election. Usually I write about my travel in sequential order but I’ve decided to skip ahead to the next city on my Euro trip last year and continue doing so, and then go back to the beginning. 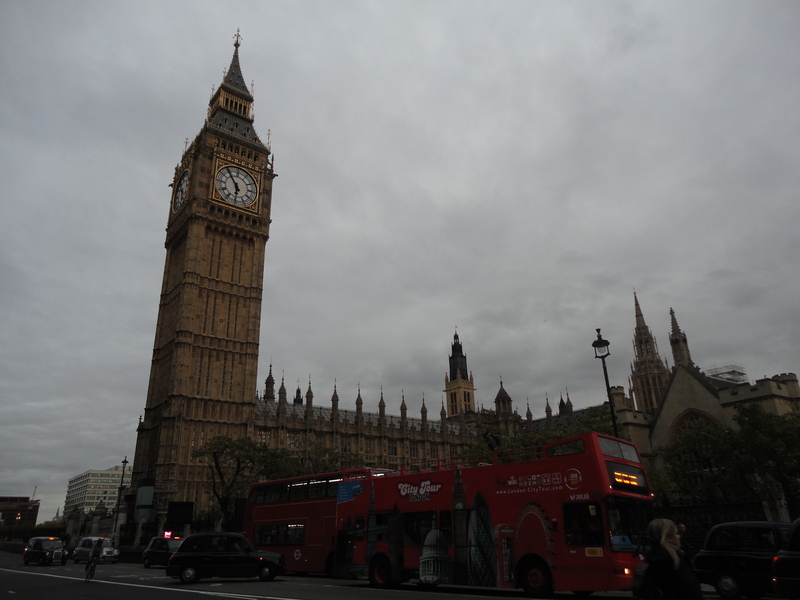 London was my first stop so it was natural that the next big city was Paris, which was just a short cross-channel Eurostar trip away. Paris is a city that obviously doesn’t need an introduction, being featured, written about and pictured in so many movies, books and photos. I was never one of those people who dreamed of going to Paris, especially as I’ve never been a romantic person, but I figured if I was going to Europe, I might as well come here. And I would be very glad I did. After getting off the Eurostar train in Paris, where we had a most inauspicious start by having to go through an alternate exit due to precautions taken after station staff found a piece of unattended luggage, my mother and I got to our hotel by subway, as in London. Initially, the “antiquity” of the Paris subway was a little underwhelming, with the rickety old carriages and the doors that had to be pulled open with a handle and the somewhat dim platforms. The first full day started with a trip to the Louvre, of course, and ended with a view of Paris and the Eiffel Tower from on high. The Louvre is one of the world’s most famous museums, and when we got out of the subway station, passed these elegant old buildings, and walked through the dark entrance of one of these buildings to see IM Pei’s glittering pyramid in the centre of the Louvre’s inner courtyard, it really hit home that we were in Paris. But before we could enjoy the museum, I had to brave the hustlers and pickpockets which I read so much about and had come to fear. After a brief search to buy a Museum Pass, during which I avoided people pretending to seek donations (the web is full of warnings about people seeking donations from hapless tourists while their accomplices try to take your wallet), we lined up in the courtyard for about half an hour before entering the pyramid and descending to the basement entrance. I didn’t realize it at first but the Louvre is huge, housed in a former royal palace with three different wings in different directions (according to Wikipedia, the Louvre is the world’s largest museum). After figuring out the map, we chose one wing and set off. The museum is big but it was packed with tourists and predictably, there were scrums around the most famous exhibits like the headless Winged Victory of Samothrace (marble statue of the winged goddess Nike) and of course, the Mona Lisa, where after much moving around and maneuvering in the dense crowd (no pushing or jostling though), I managed to get up close to the fabled painting. 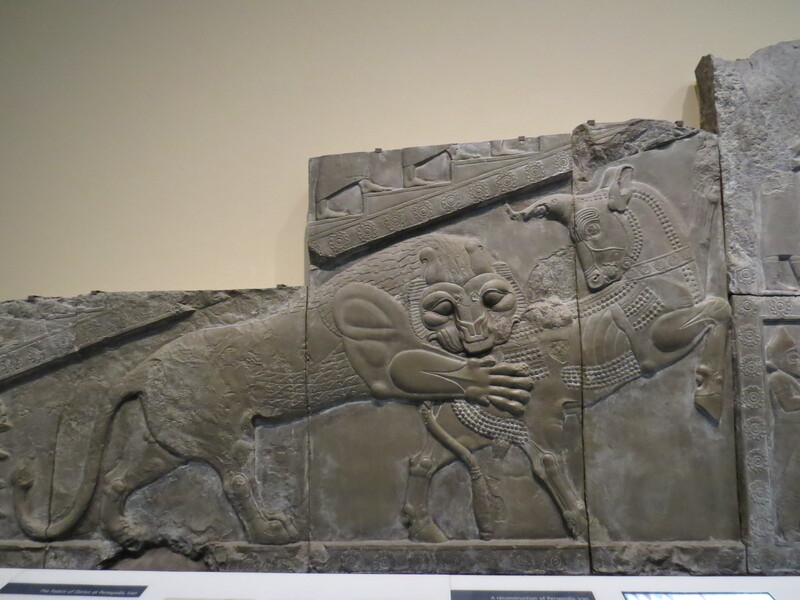 Those two exhibits were very decent, but there were so many great pieces of exhibits including the massive Babylonian marble lions, Greek statues, and paintings of French kings and Napoleon. We were there for only three hours, but I really could have spent a couple of more hours as we only saw about one half of the museum. Of the three wings, we saw two of them and probably not even most of them. The only complaints I had were that all the exhibit captions were in French, which for a world-class museum was a big stunning to me. Obviously, it was deliberate because it’s the French. Also, the toilets are few and inadequate – for instance, a couple of the washrooms only had one toilet and they are far apart. While my mother had lunch, I had to walk through something like 10 rooms to get a vacant washroom and by the time I returned, she had finished. Yes, I know the building is old, and the exhibits are old, but surely the authorities should be able to install some modern washrooms. From there, we went on to Île de la Cité, an islet located on the Seine that is the center of Paris. This was Paris as I had imagined, with the rows of elegant townhouses, magnificent old buildings, Notre Dame cathedral, and the streetside bakeries selling baguettes and crepes. 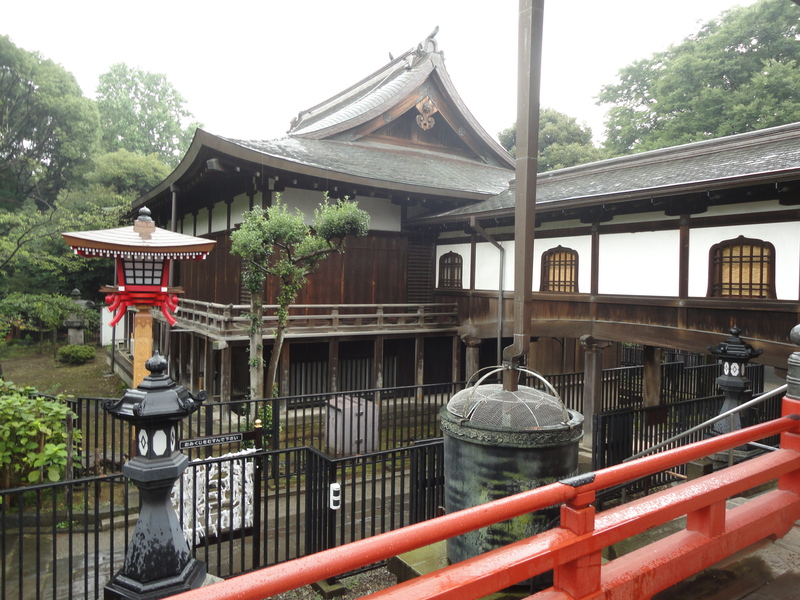 But of course, it was also a very heavily touristed place. First, we went to St Chappelle, a royal 13th century Gothic chapel fitted with the most beautiful stained glass windows I’d ever seen. There is a smaller hall from which you went on to the larger sanctuary whose upper walls were filled with fantastic multicoloured stained glass windows featuring scenes from the New Testament. The effect was like being in a hall with resplendent purple and blue ceilings. Notre Dame was next, with its imposing Gothic structure fronted by two towers, and the famous stone gargoyles perched on its roof and above its windows. 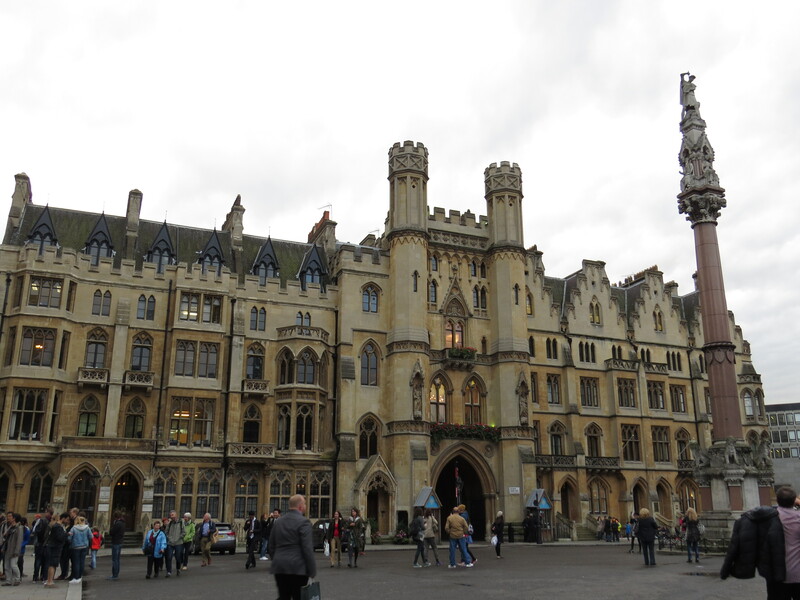 There was some impressive sculpted artwork in its front – midway, a row of stone statues of bishops stood sentry across the entire front facade while the three curved entrances had countless stone bishops sculpted along the sides and top. The cathedral is massive and it was an interesting experience to walk in the cavernous inside and view the stained glass windows, the sculpted scenes of Christ rising, and even the stone coffins of two bishops at the back. I was starting to enjoy Paris, even its old subway system, which now seemed kind of cool. 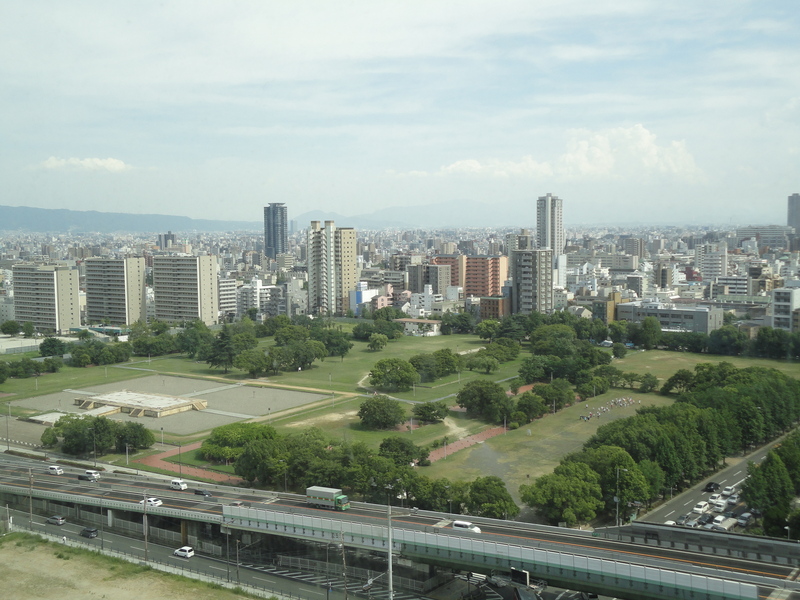 When I was in Tokyo, I stayed in a hotel in the middle of two historic districts. 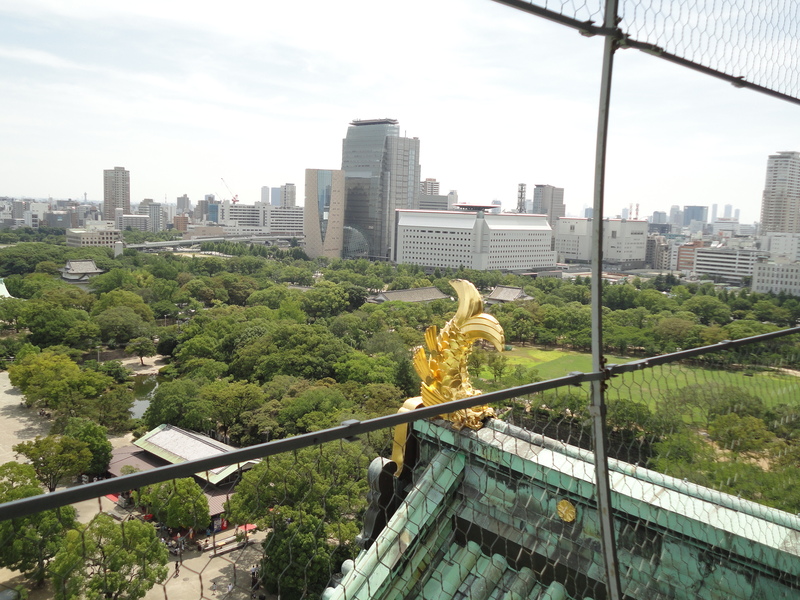 To the east was Asakusa, and to the west was Ueno. 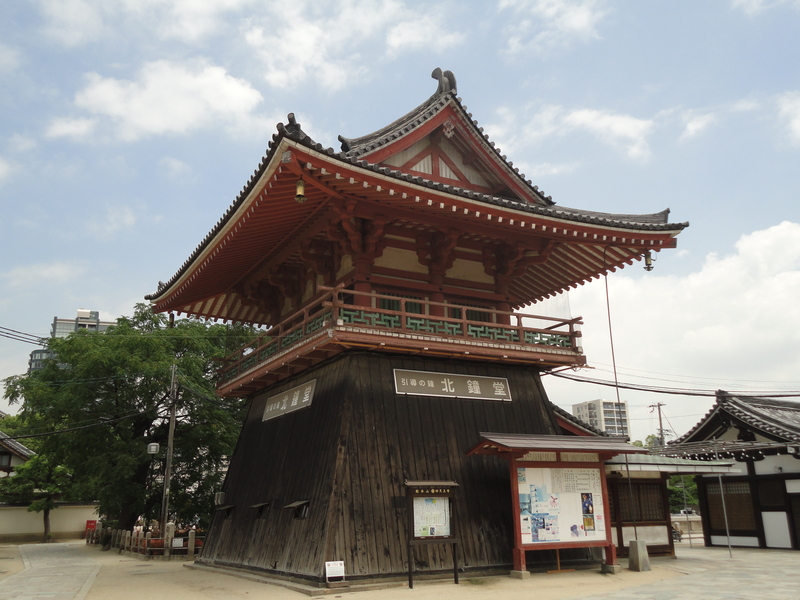 Its main attraction is Ueno Park, a giant park in which the National Museum, Tokyo Zoo and several other museums are located as well as quite a few temples and shrines, including one dedicated to Tokugawa Ieyasu, the great Japanese shogun who helped unify the country in the 17th century. 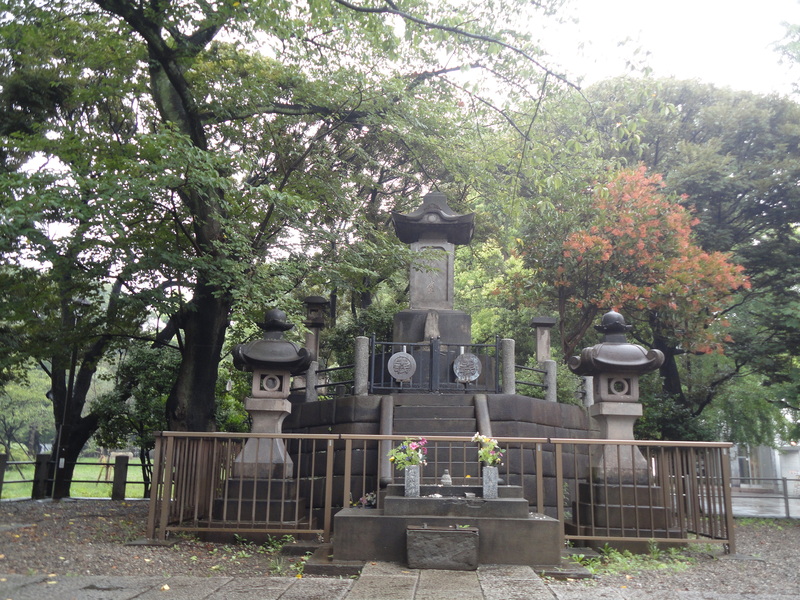 The park was actually built on the site of a major battle in 1868 when shogunate samurais (Shogitai) tried unsuccessfully to resist the new Meiji government, and the tomb of Shogitai warriors still lies inside the park. 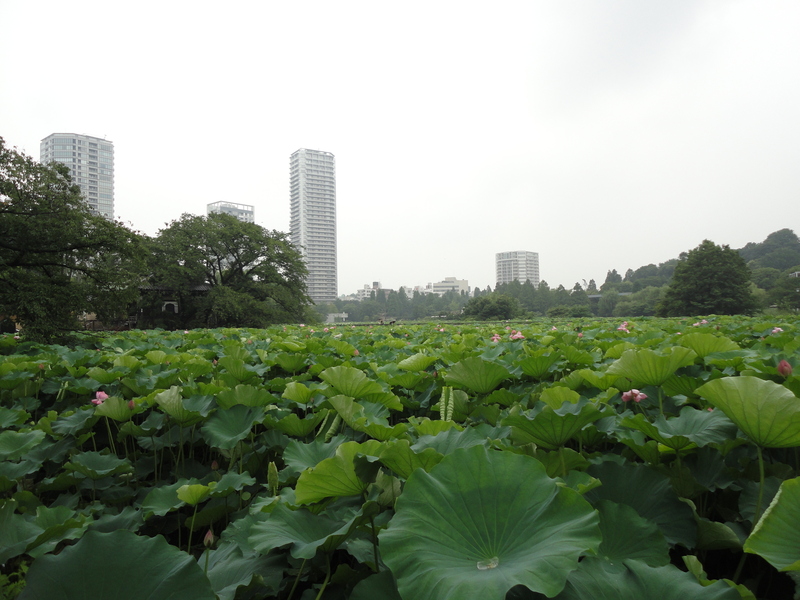 There is a large lotus pond at the south end, Shinobazu Pond, that looks out onto office buildings, providing a stark contrast. 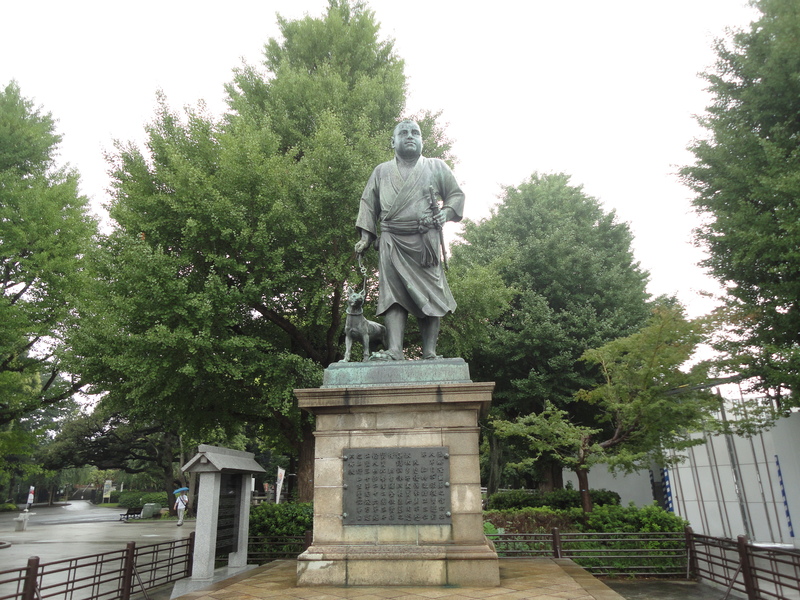 The photo at the top of this post is of Saigo Takamori, who was a samurai commander who led an imperial army in an earlier uprising (when the battle in Ueno happened) but then rebelled against the government in 1877 and died under mysterious circumstances in the climatic battle. 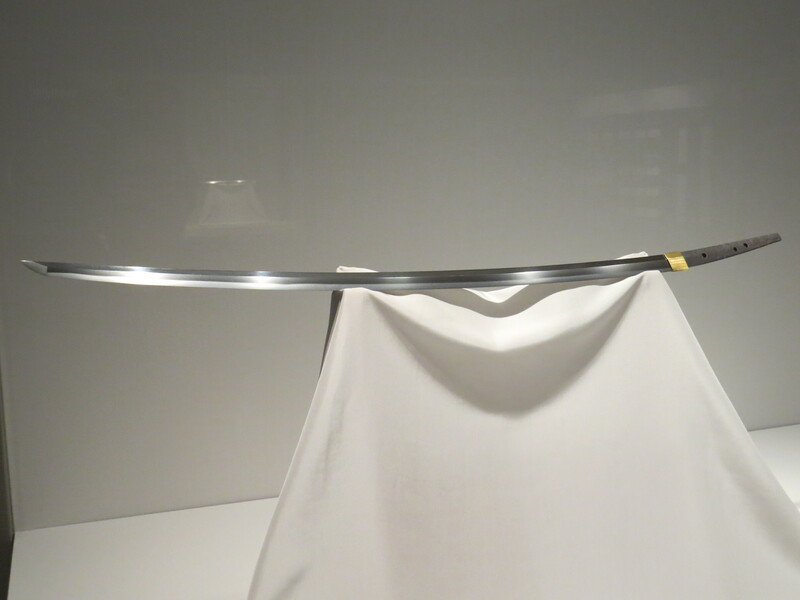 According to Wikipedia, the plot in The Last Samurai, the Tom Cruise samurai movie, was based on his rebellion. 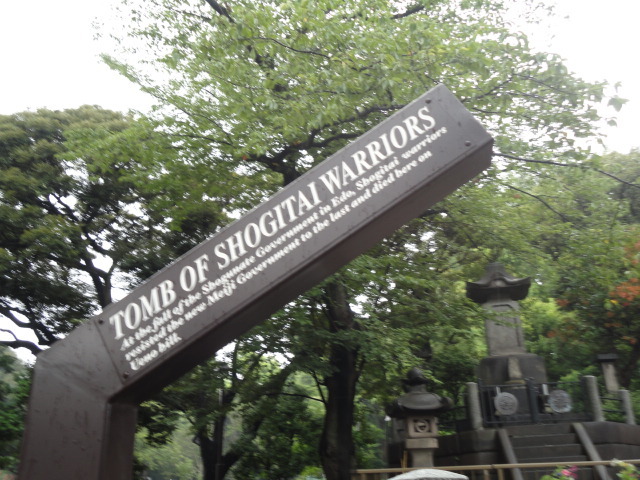 I have to admit though that when I visited the park, mainly to go to the national museum, I was unaware of all this history and it was only after I stumbled onto all these sights like the Shogitai tomb and the samurai statue that I learned about it. 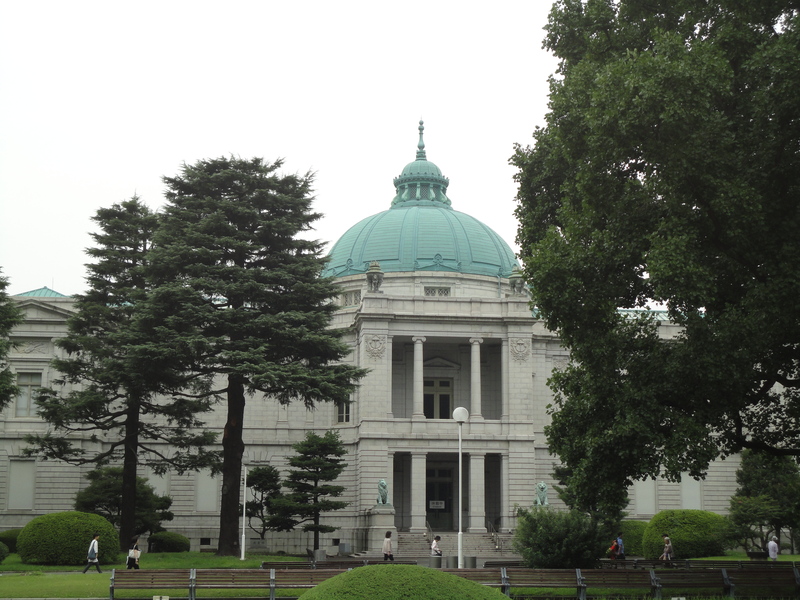 The Tokyo National Museum stands at the north end of the park and is divided into several buildings housing Japanese history, art, and Asian artifacts. 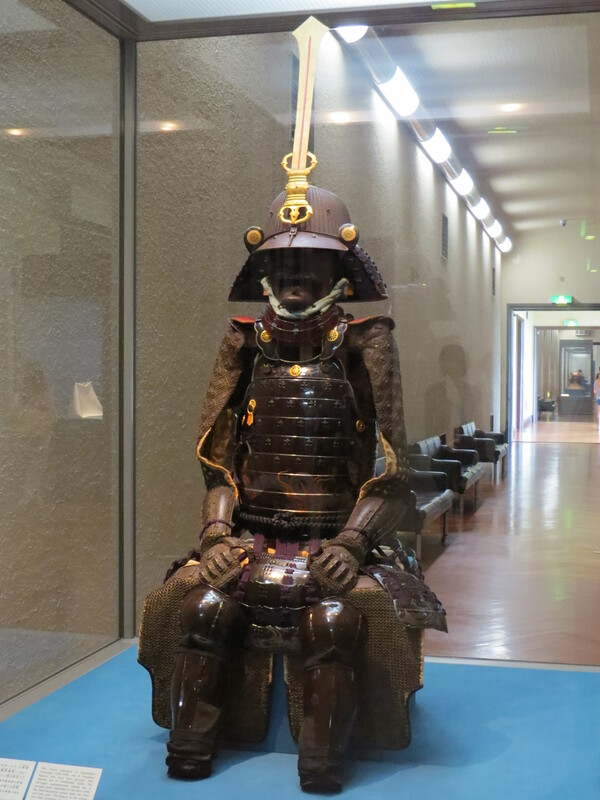 While the Japanese section was good, with Japanese samurai armor and swords being a personal highlight, the most interesting section was the Asian building which featured Chinese, Korean, SE Asian and even South Asian exhibits, as well an Egyptian mummy. 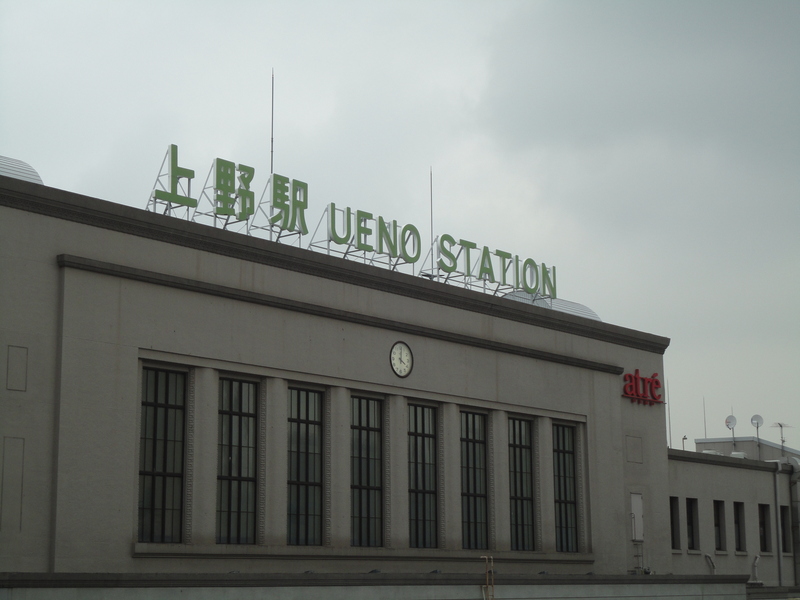 Ueno train station is nearby, and if you saw the first Wolverine movie, it was featured during a chase scene. 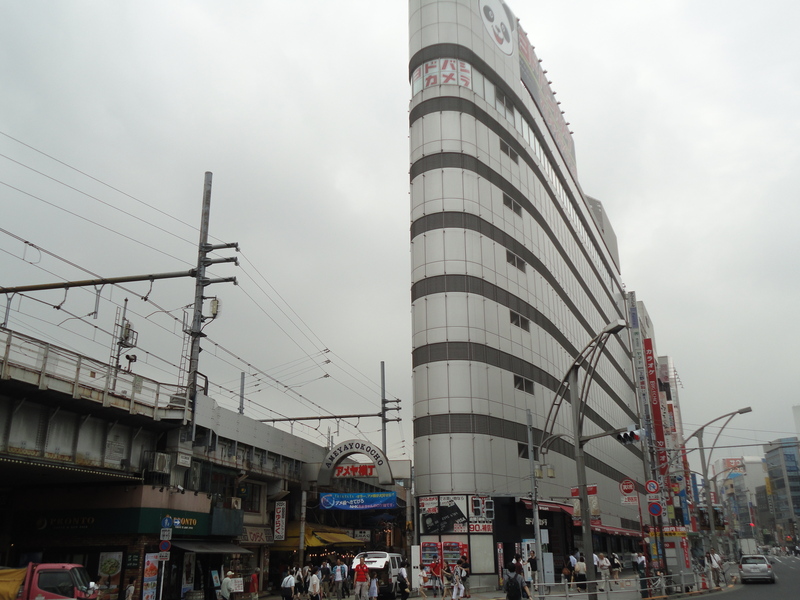 Opposite the park is a shopping area called Ameyayokocho, a busy shopping area wedged into a bunch of alleys. The “Ame” in its name stands for America, as it was a black market for American goods after World War II. At night, its numerous pachinko (a popular Japanese pinball-like game) parlors really light up the area. 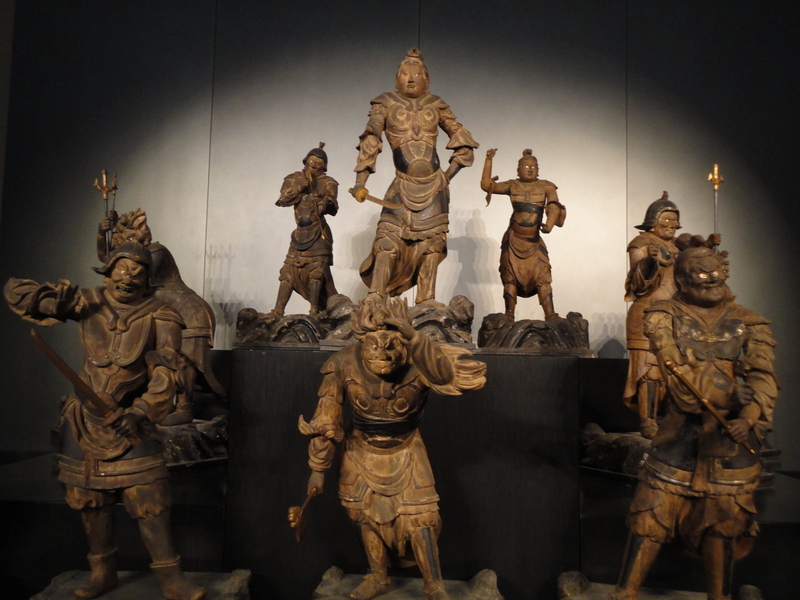 Wooden statues of the “twelve heavenly generals.” They look more devilish than heavenly to me. Buddha found near Peshawar, Pakistan from the 2nd-3rd century. 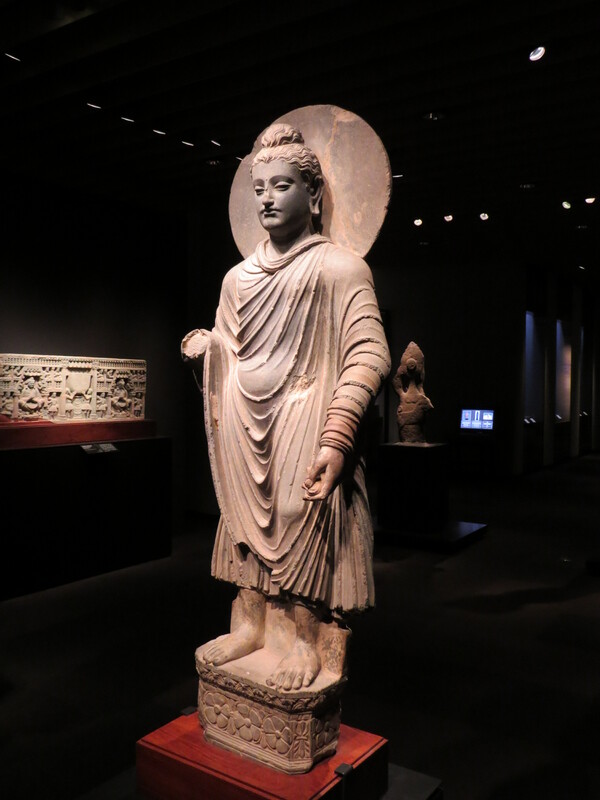 The lean figure looks much different from the chubby, bald Buddhas you usually find in China and SE Asia. Seen in the Wolverine movie! 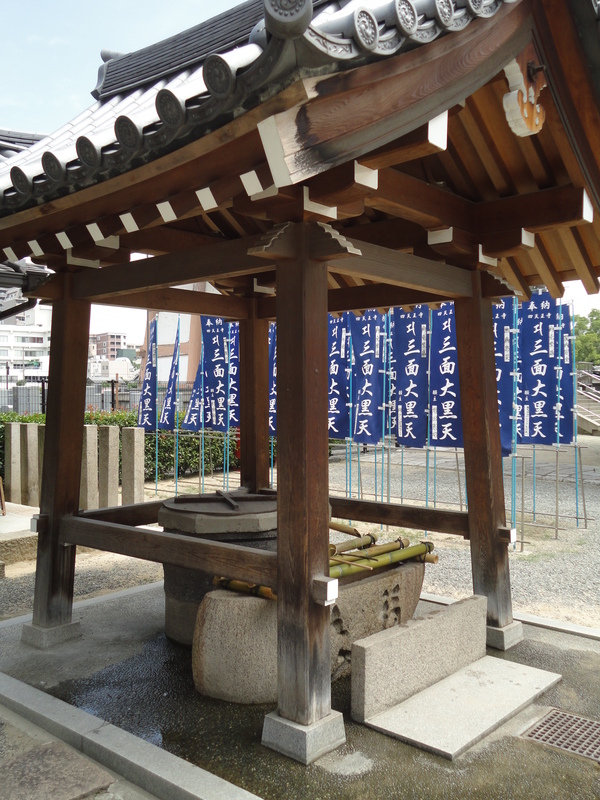 Drinking fountain at Shittenoji Temple where you scoop the water from a ladle and drink it directly. 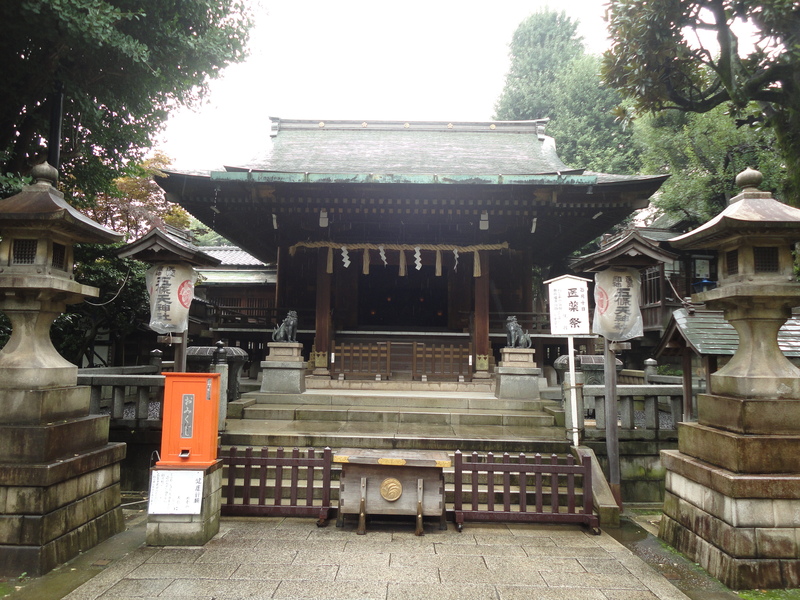 I saw these at almost every temple I went to as well as at Osaka Castle.